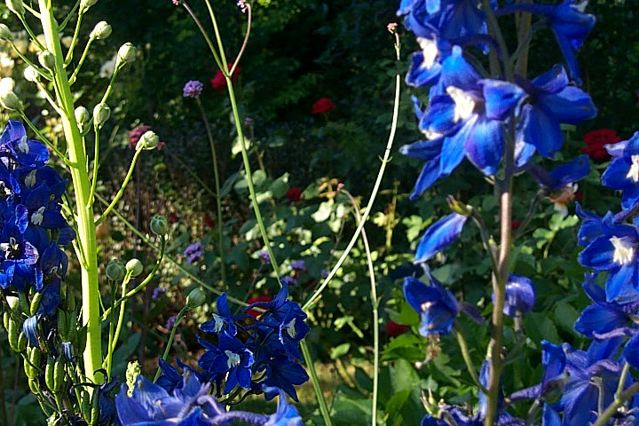 One of my greatest joys apart from creating with children is playing in the garden. 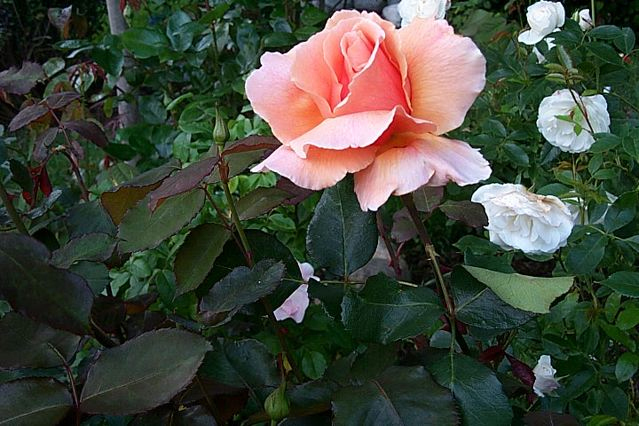 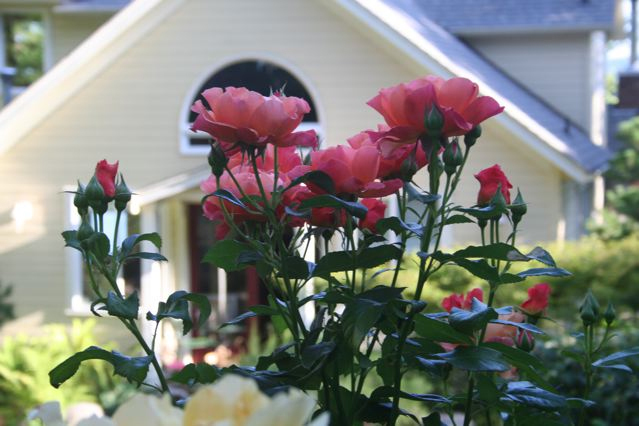 For 30 years growing and tending flowers, shrubs and trees has brought such pleasure, relaxation and beauty to my life. 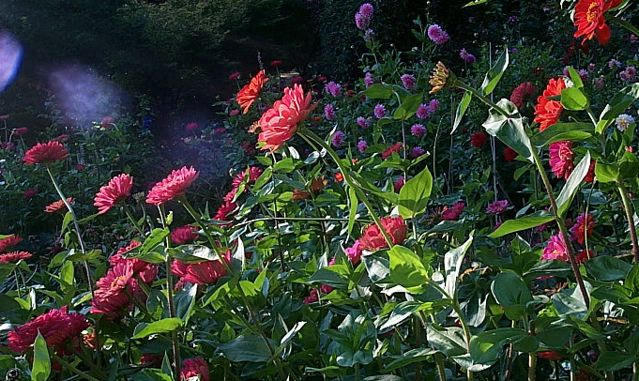 I hope you enjoy the photos and maybe you will share some of your garden with me. 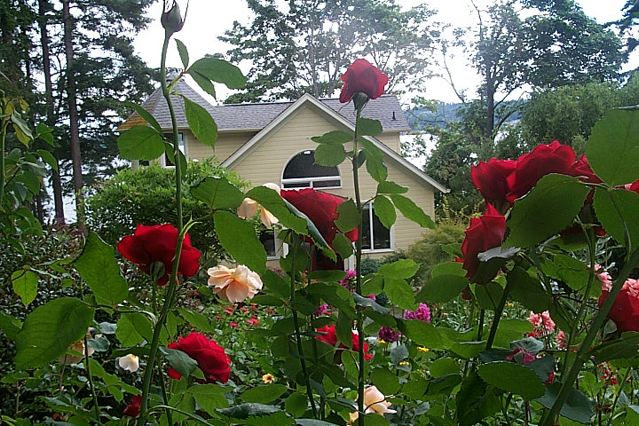 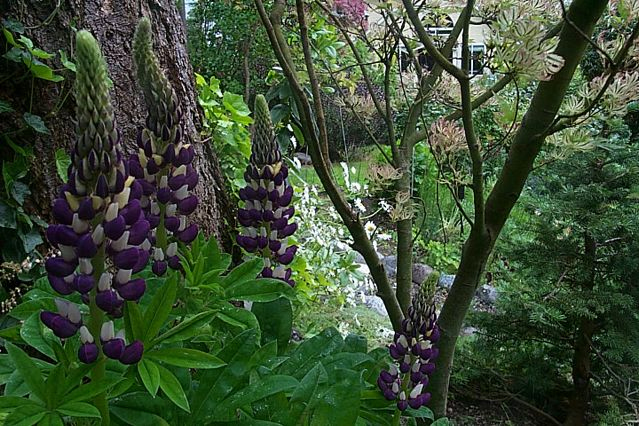 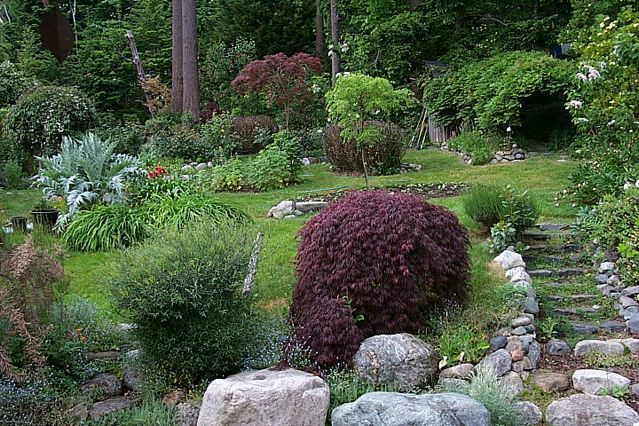 In June 2011, Jim's garden was featured as part of the Gig Harbor Garden Tour. 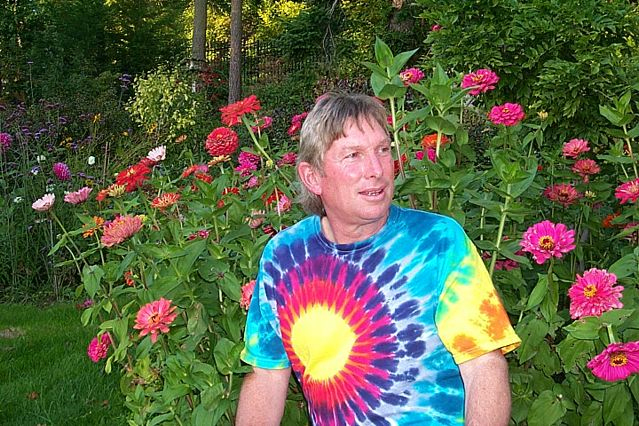 Check out this article this article. 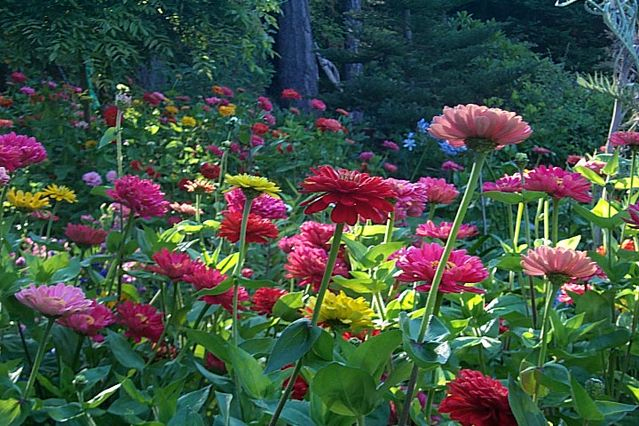 Zinnias are really what got me started creating a flower garden back in 1980. 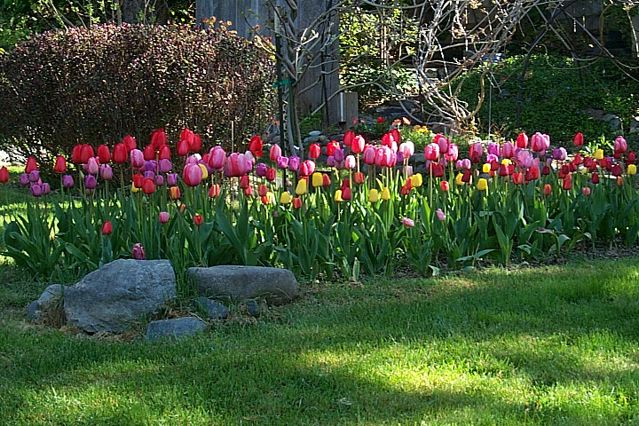 This is what they look like about a month after the little plants are set in the garden. 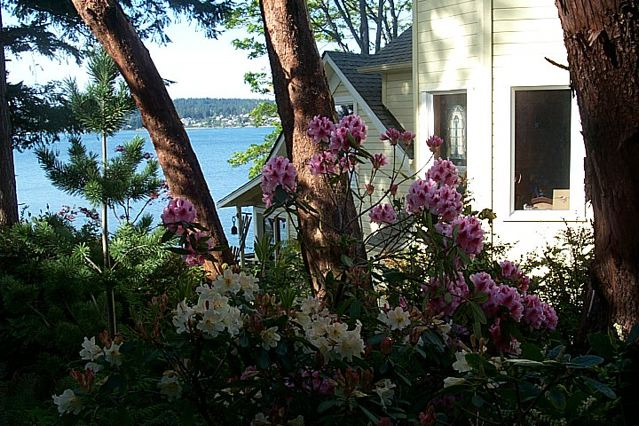 Rhododendrons ~ the State Flower of Washington. 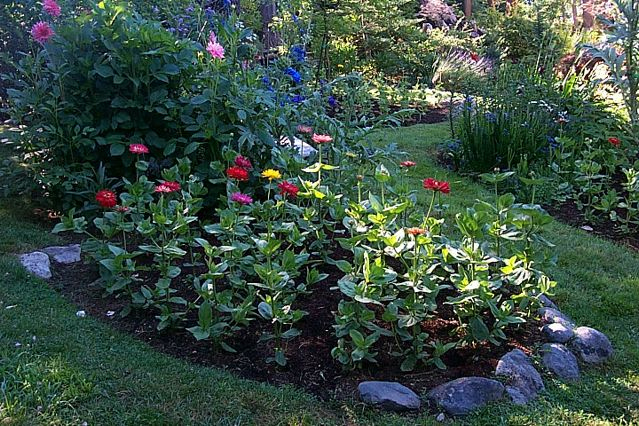 See the flower bed at the top of the purple Japanese Maple.. they are tiny Zinnias just planted! 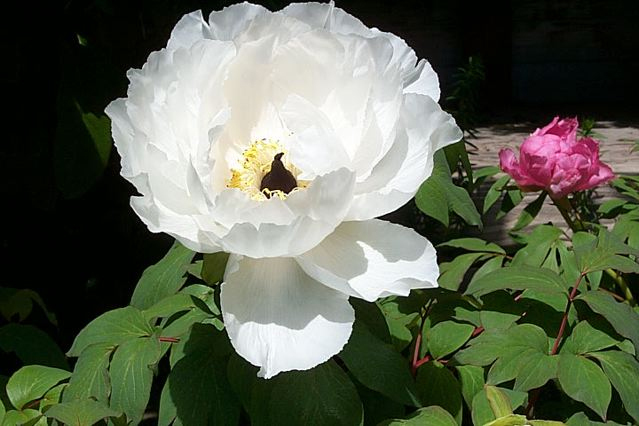 Mmmmnnn... Peony .... chocolate kisses. 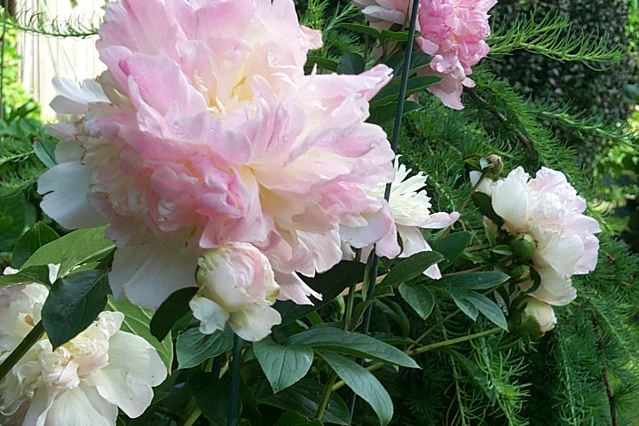 More Peonies... they come in so many gorgeous colors. 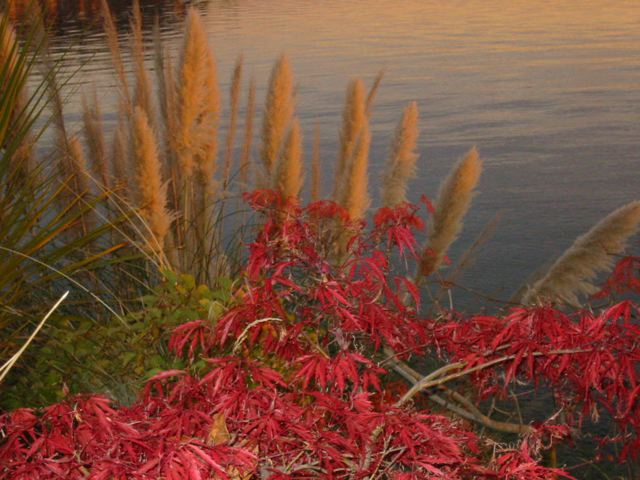 Pampas Grass and Japanese Maple in the Fall. 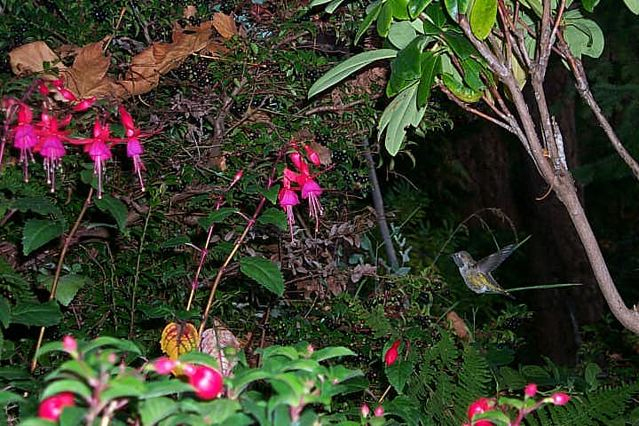 Fuchsias with their friend the hummingbird. 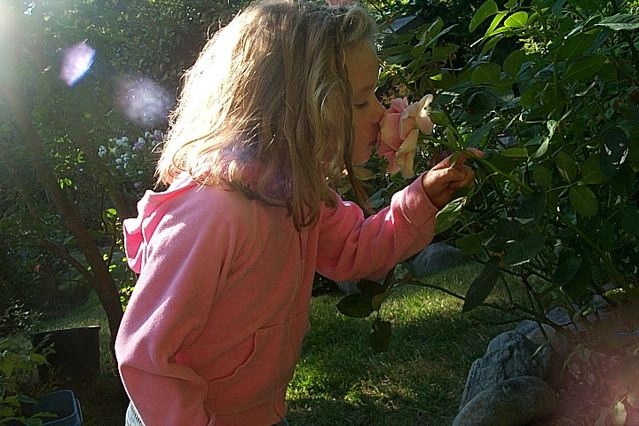 One of my grandchildren... Zoey loves to play in the garden! 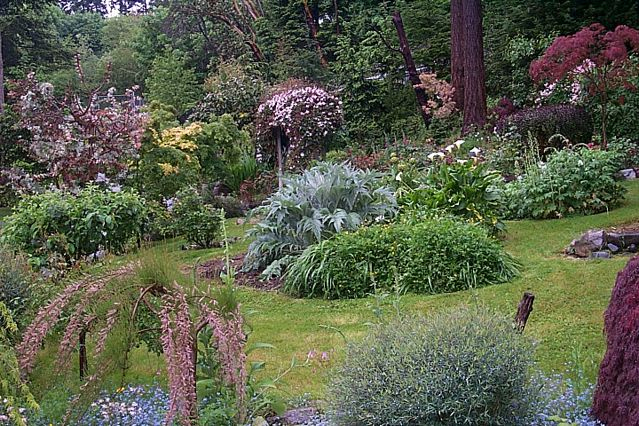 The silvery plant in the middle is a Cardoon... a relative of the Artichoke family. 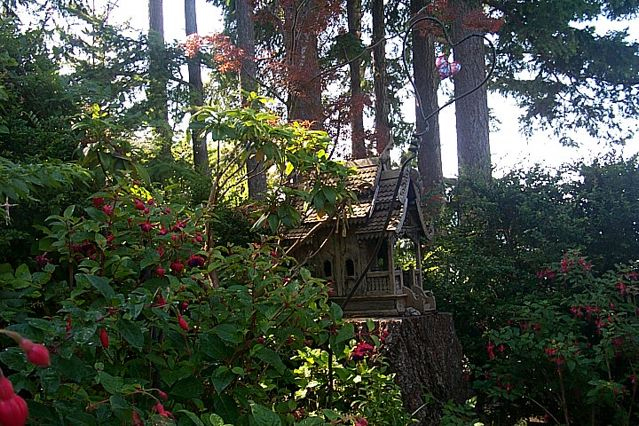 Fuchsias snuggling up to a Spirit House from Thailand. 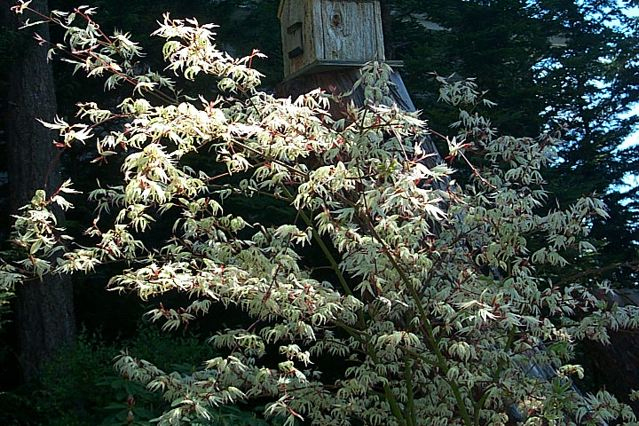 This a Japanese Maple called White Clouds Floating. 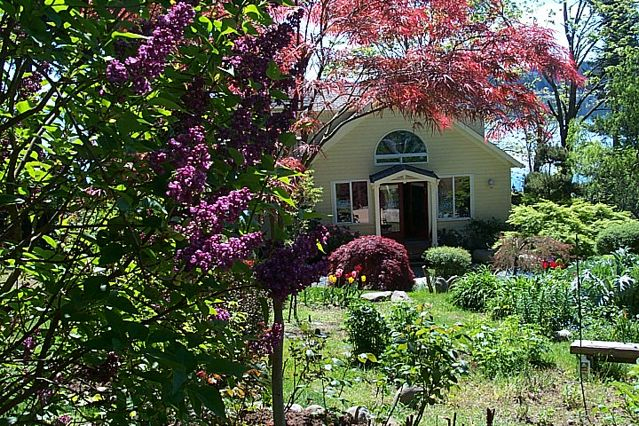 Early in the Spring with Lilacs and Japanese Maples. 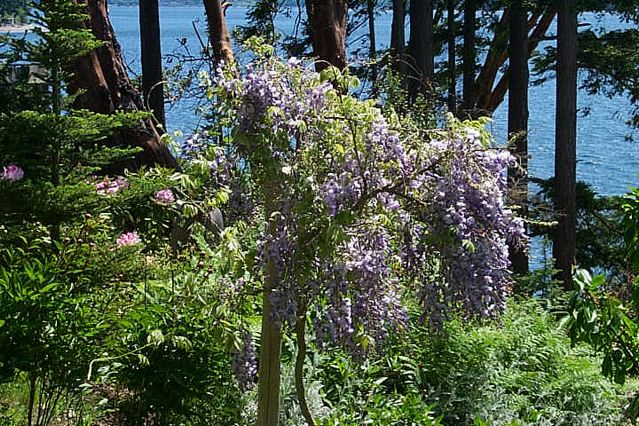 Wysteria Tree peeking out at Puget Sound. 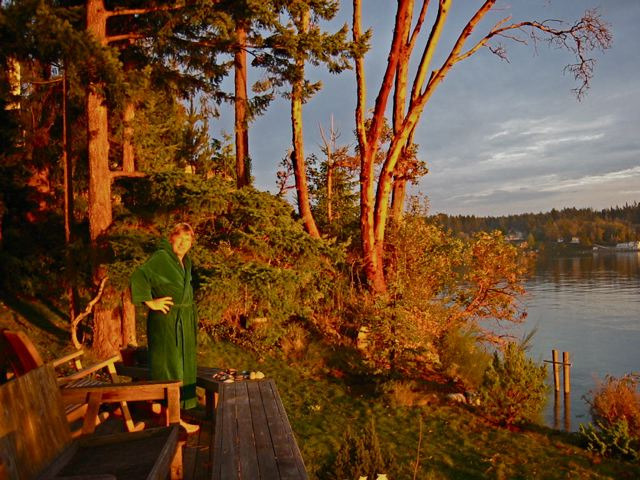 Sunset colors helping the red Madrona trees appear even brighter... Is that a Leprechaun in the photo? 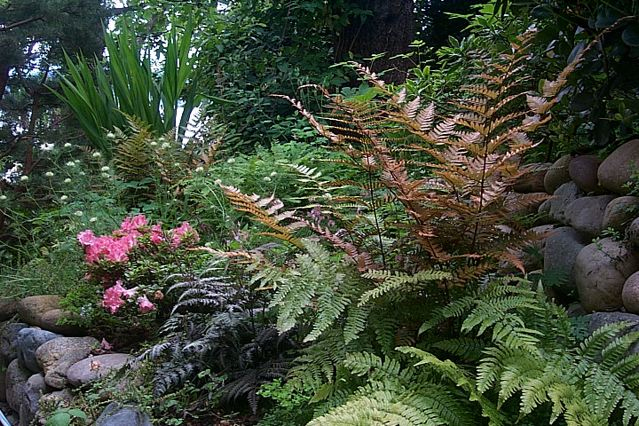 Shade garden... ferns and geranium. 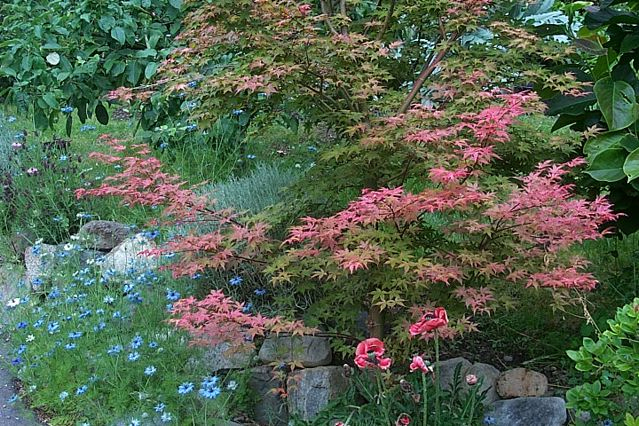 The little blue flower is Nigella with a Japanese Maple and Poppies. 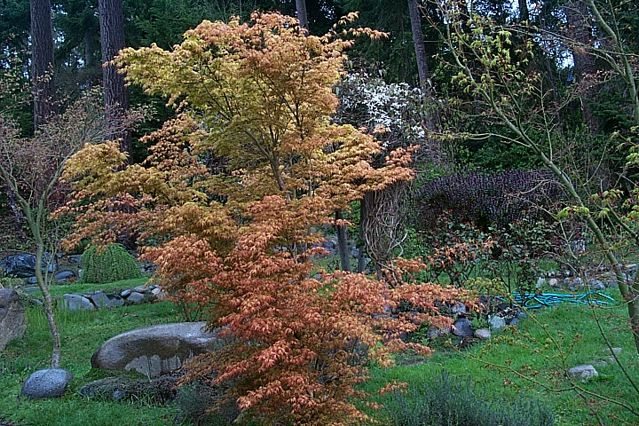 Early Spring... this is the first Maple to "bloom" ... peach hues. 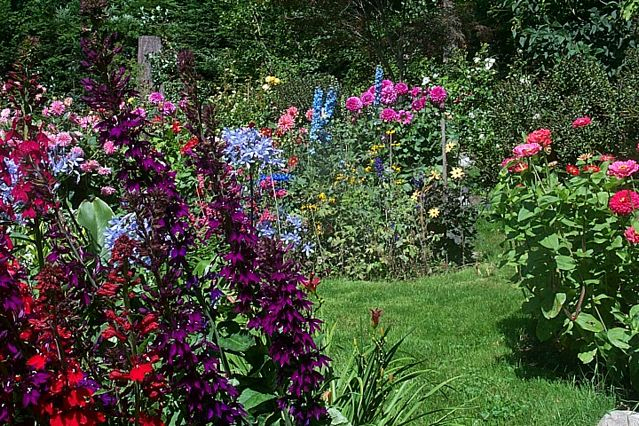 Perennial Lobelia in late Summer. 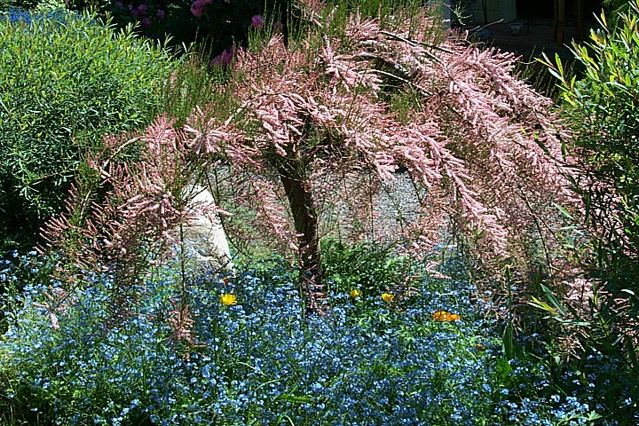 Forget Me Nots nestle around a Tamarisk Tree ...early Spring.